Located in Northamptonshire, the Complex consists of 6 mature lakes, including two day ticket specimen carp lakes. One being Elsons, with fish to 40lb, and the other , Mallard Lake. We also have a syndicate carp lake, which is Roman Lake. There are a further two Syndicate Lakes at Kislingbury, located just off junction 15A of the M1. Our aim is to cater for a variety of anglers, from pleasure to serious matchmen and specimen anglers, whether you want to fish for a few hours or all weekend. Back in the 80's, Elsons was run as the Mid Northants Carp Fishery, one of the premier carp waters in the country, and fished by the top Carp Anglers at the time. Mallard used to be our runs water, but now the fish have grown to such a size that it has to be considered as our second specimen lake, with numerous twenties and at least two thirties. No booking is required on this lake, so just turn up and fish. Swan Lake, which used to be our Match water, has been heavily stocked with Carp over the last few years and can now be regarded as our "runs" water. Full of Carp averaging 8-16lb, with the odd twenty and even a known thirty, it has enough to keep most anglers interested, and is another lake you can just turn up and fish. The Complex offers free off road parking in 2 on-site Car Parks, and toilet facilities are provided for anglers? use. And if you should get hungry whilst fishing, there is a local takeaway, who are happy to deliver to the complex. 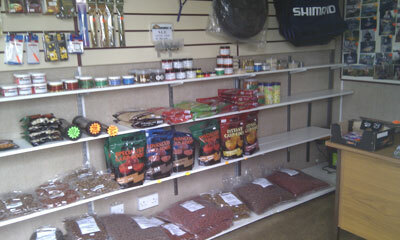 We also have an small onsite tackle shop should you require any essentials. 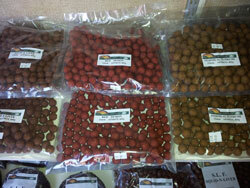 We have bait, small tackle items and some refreshments available. For up to date information why not 'Like' our Facebook page!